Police arrest a young male driver of a red Chevy Camaro after the car spun out and crashed into a light pole on Palatine Road, just west of Arlington Heights Road. 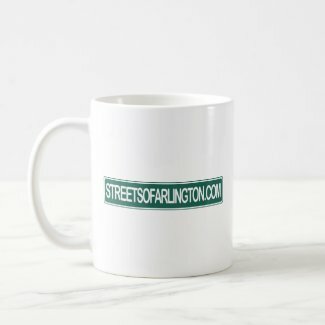 Arlington Heights police arrested an alleged DUI driver about 2:10 a.m. Saturday after a driver crashed his red Chevy Camaro while he drove out of an exit at the Speedway gas station at Arlington Heights Road and Palatine Road. Police were already in the area when the diver lost control and spun around and hit the back end of the camaro with slight force into a large light pole. No injuries reported. The driver was checked with a PBT and arrested about 2:10 a.m. Saturday. He was transported to a police holding area. His Camaro, which appeared to have been recently purchased with no license plates on the car, was towed to a police holding area. The left wheel also broke off the axle with the force of hitting the curb at the gas station exit. 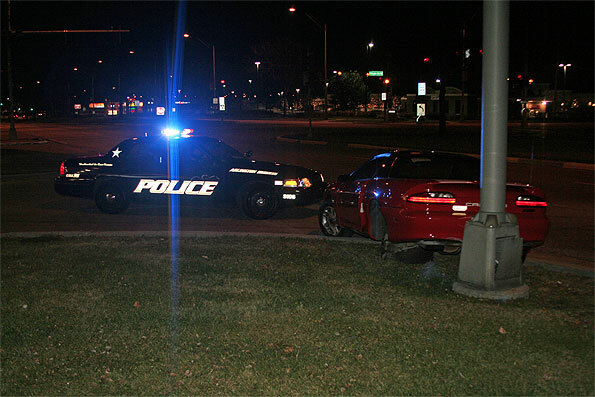 Alleged DUI driver lost control while exiting Speedway gas station. Broken rear axle after alleged DUI crash. 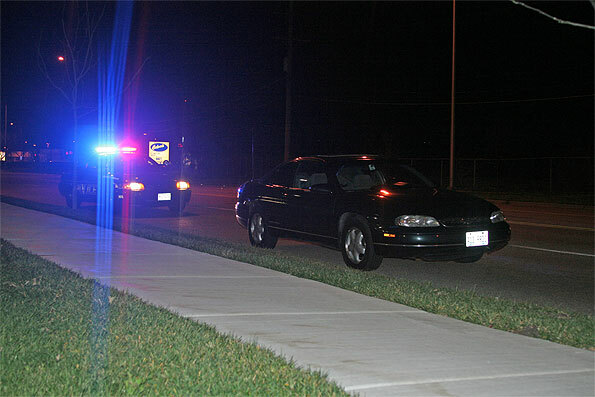 Police arrested a second driver on the south side of town at about 2:33 a.m. Saturday on Algonquin Road, just east of Busse Road by Moretti’s and Culver’s. 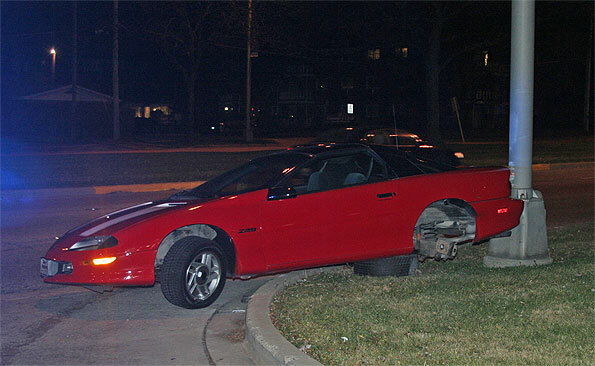 The driver was transported in custody to Arlington Heights Police Department Headquarters. 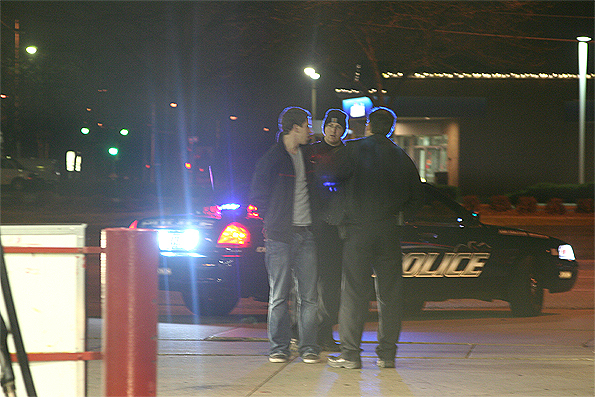 Police wait for DUI hold tow on Algonquin Road, just east of Busse Road. Police and firefighter/paramedics also responded to a bicyclist down on a lawn near Kenicott Avenue and Maude Avenue about 4:47 a.m. The man on the back was apparently intoxicated and lost control of his bike.